George Zimmerman sits in a Seminole County courtroom during his bond hearing on June 29, 2012 in Sanford, Florida. The trial of George Zimmerman in the shooting death of Miami Gardens teen Trayvon Martin will begin June 10, his attorneys said Wednesday. Zimmerman, 29, is charged with second-degree murder for fatally shooting Martin, 17, during a confrontation in a gated community in Sanford last February. 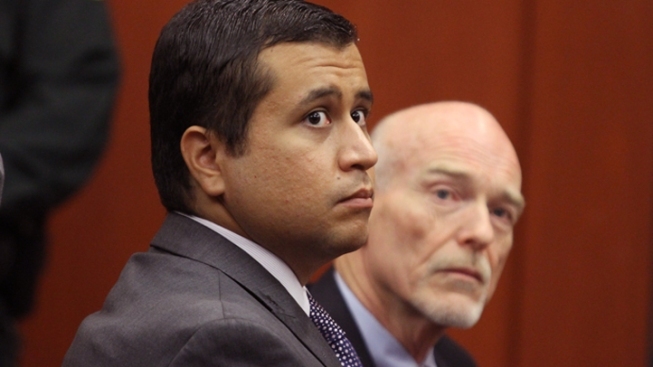 Zimmerman is pleading not guilty, claiming self-defense. Zimmerman's attorneys said there are still several unresolved pretrial matters to complete and another status hearing is set for Dec. 10. The attorneys also posted on Twitter that a self-defense immunity hearing is likely to be requested for early April or May. Attorney Mark O'Mara estimated he expects the trial to last three weeks. They'll be back in court Friday for what is expected to be a lengthy hearing for arguments on several motions, including the defense asking for more time to interview state witnesses.